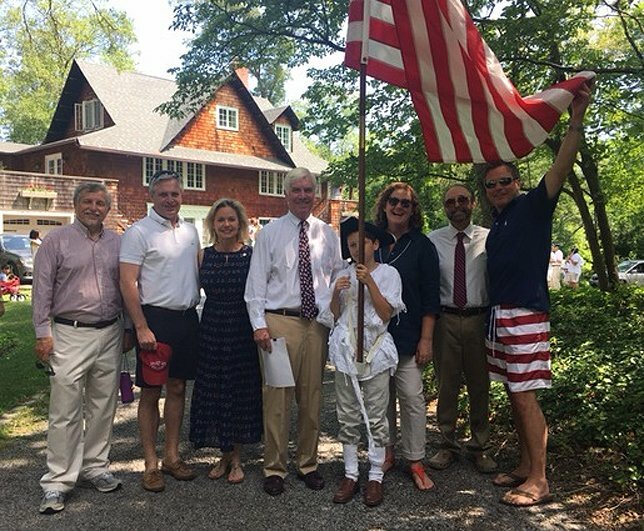 Shoreham, NY – July 5, 2017 – On Tuesday, July 4th, Suffolk County Legislator Sarah Anker joined the Village of Shoreham at their annual Independence Day celebration. The holiday began with a parade through the village and included festivities that lasted throughout the day. Following the parade and ceremony, there was a celebration at the Village Hall that included a Children’s Olympics, annual softball game, bicycle decorating awards, and hotdogs and ice cream. For more information about the Village of Shoreham, please visit www.villageofshoreham.org.